This grassroots, non-profit community organisation is part of the wider Boomerang Bags movement, who tackle plastic pollution at its source. Volunteers from all walks of life sew bags from recycled fabric, donated by their community. The bags create a platform to start conversations, make friends, up-cycle materials and work towards shifting society’s throw away mentality. 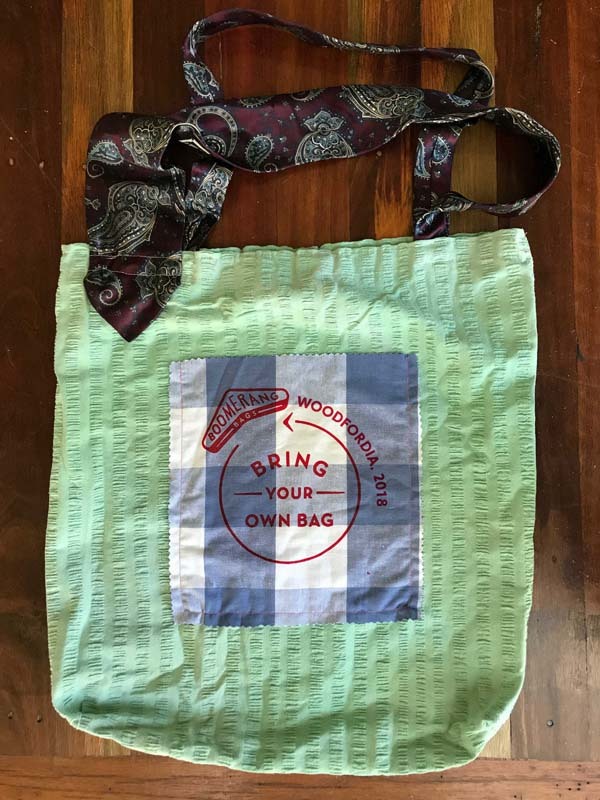 Screen-print, cut and sew your own Woodfordia 2018 Boomerang Bag. You’ll be guided on how to create a fabric re-usable bag from recycled materials - the most awesome ‘green’ bag you’ve used yet! With Boomerang Bags Eumundi.